One Day World Cup Cricket series is a competition involving fifty-over matches. Alternatively, Twenty20 World Cup series is a twenty-over quick match. The former is time-consuming and can be played in a planned manner. The latter on the other hand, is played at a go where a player does not get enough scope to think and play. It is based on more of an instinctive decision-making style. In a One Day match, in case of any irregular bowling or batting, a player is allowed the scope of “making up”, which in the Twenty20 is not possible as every ball counts. In the One Day International, every team gets to bat a fixed number of overs. Here, a bowler is allotted around ten overs at the maximum but in case of rain-reduced matches, it gets fewer in number. While batting, the batsman batting first in terms of serial order targets to score more while the bowler bowling second makes sure to stump out the first so as to disable them from reaching the target. According to the Duckworth-Lewis method, in case of inclement weather conditions when the number of overs is changed, the team batting second gets to face the consequences. In terms of the gaming pattern of Twenty20 World Cup, one sees a completely different scenario altogether. Here, a bowler bowls a maximum of four overs and with every ‘no ball’ there is a gain of a point for the team batting and also the profit of a ‘free hit’ in the next ball. In this case, a batsman can only be made run-out or hitting the ball twice. The bowling team is restricted when it comes to fielding during a Twenty20 match. Numerous restrictions are put forth. Strictly nine players are told to be fielders and there will be only two in the ‘catching position’. Under the Power-Play Rule, these restrictions apply only to the first ten overs and two blocks of five overs. The bowling team decides on the Power-Play aspect. In case of a Twenty20 match, fielders can stay at the leg side at any time. 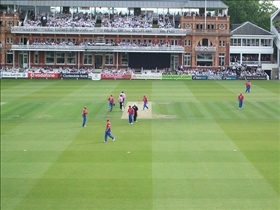 It is also seen that after the first six overs, five fielders can stay out of the fielding circle. A record of maximum number of centuries and half-centuries are made by Sachin Tendulkar of India and to date, no male player but Sachin has ever scored a double-century in an ODI. On the other hand, Sri Lanka made the highest innings against Netherlands with a clear 443 in an ODI. Chaminda Vaas is also famed for taking eight wickets at a go in the same. 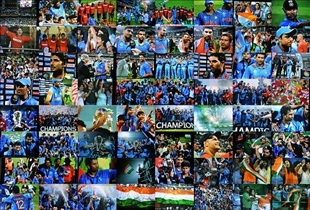 In the first tournament of Twenty20, India defeated Pakistan at the finals. Pakistan beat Sri Lanka by eight wickets immediately in the consecutive tournament. The Cricket One Day world cup is comparatively more elaborate than the Twenty20 World Cup. In the Twenty20 world cup, there are several changes in the rules of the game to make high run rates possible. Both tournaments have teams representing countries and not clubs or similar. Which Cricket World Cup is better?